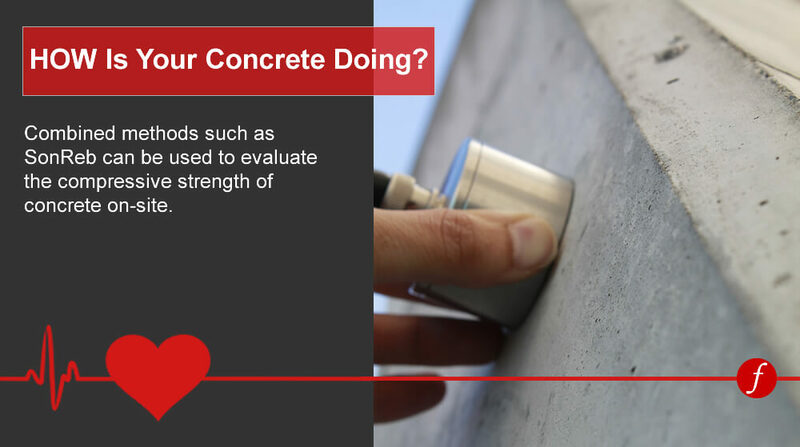 Taking core samples from concrete structures is required for comprehensive assessment of durability and structural performance of the structure. 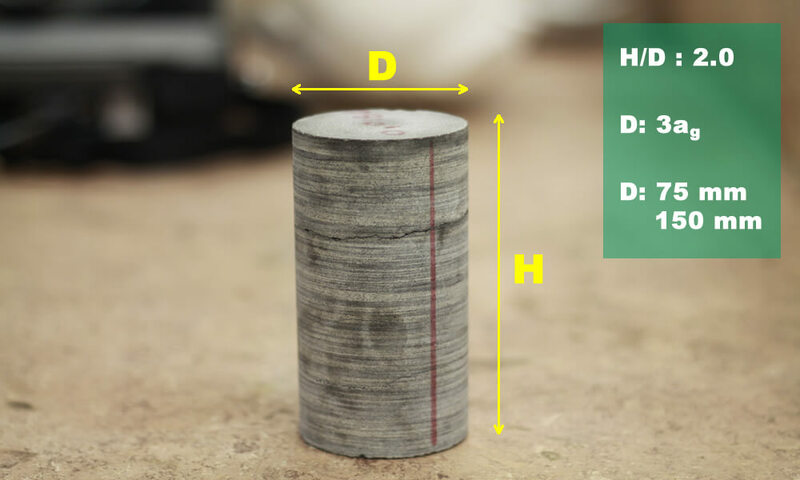 The compression test on core samples is known as the most reliable method for assessing the compressive strength and a means of quality control. The procedure for taking core samples and testing them has been standardized (ASTM C 42, and ACI 318). However, with all the benefits coring brings to the table, coring has certain disadvantages. In addition, the selection of core locations in structure can be a challenging task. In this article, we will review the benefits and disadvantages of taking cores. We will also discuss how non-destructive testing has changed the paradigm in recent years. 1- How many cores are needed? ,and where? The quantity and the location of cores should be selected such that they represent the strength distribution within the member. The cores should also be a realistic representation of concrete quality. It is safe to say that increasing the number of cores can deliver a more realistic distribution of strength, but at the same time, leave more weak points in concrete. The type of condition assessment also plays a key role in selecting the location of cores. 1- Likely strength/stress: when the objective of an assessment is to evaluate the structure under service loads, the cores should be taken from areas where the minimum strength and maximum stress coincide (i.e. mid-span for the beams, or any face near the top of lifts for vertical elements). 3- Aesthetic consideration: concrete coring can leave unpleasant scenes on the structure. The location of cores can be adjusted to reduce the impact on aesthetic features. 4- Durability concerns: when durability of concrete (i.e. permeability, protection against radiation), the number of cores should be very limited. 1- Compressive strength: Perhaps, measurement of compressive strength is the primary objective in most cases. Concrete cores can provide precise information about the strength of concrete. 2- Density: Cores can be used to determine the density of concrete. 3- Water absorption: concrete cores can be tested to evaluate the water absorption of concrete. Water absorption can provide basic information about the porosity, and inter-connectivity of pores. 4- Bulk Electrical Resistivity: Bulk electrical resistivity of concrete can be determined by testing concrete core samples. ER provides valuable information about the resistance of concrete against penetration of chloride ion into concrete. 5- Visual assessment of cores: Cores, and the drilled hole can be used to evaluate the visual condition of concrete defects, such as cracks, voids, and honeycombing. 1- Weak points: taking cores leave weak points within the element. The location of cores is normally repaired by standard or high strength patch repair materials. While repair materials often have adequate strength, the weak points can affect the integrity of structure, and durability performance. 2- Intervention: taking cores can damage structural performance of the element, especially if the coring damages the existing rebar. Cutting rebar in an already distressed structure is the last thing an engineer wants in the field. 3- Subjective test: The selection of core locations can be very subjective. After all, the very nature of tests means that the engineer or the technician may need to compromise between the number of cores, safety of the structure, and intervention to the structure. When the purpose of coring is to evaluate the compressive strength of concrete, the minimum diameter of concrete core should be at least three (3) times the nominal maximum aggregate size. Different codes and standards set different values for the minimum diameter of concrete cores, ranging from 75 mm (in Australia) to ideal 150 mm (Britain). However, 100 mm core is a practical size in most structure inspections. The accuracy of cores for strength reduces when the ratio of diameter to nominal maximum aggregate size decreases. Most standards refer to H/D of 2.0 as the standard ratio for structural cores. However, obtaining cores that meet this specification is not always practical. For example, in thin slabs (6” = 150 mm), it is very hard to obtain a core with this ideal aspect ratio. Correction factors have been used to correct the strength values for cores that do not have the preferred H/D of 2.0. The accuracy of the correction factors decreases as the H/D decreases. Recent developments in the NDT methods can be used to improve the process of coring in concrete, such as location of cores, number of cores, and interpretation of results. Ground Penetrating Radar (GPR): This method can be used to determine the as-built layout of steel rebar within concrete. The as-built layout of steel rebar can be used during the course for drilling cores in order to avoid from cutting steel rebar. Combined Methods (UPV+ RN): NDT methods can be utilized to optimize the number of cores and core positions. To do so, it is recommended to combined NDT methods such as Ultrasonic Pulse Velocity (UPV) and Rebound Number (Schmidt hammer). The results obtained from these NDT methods can be used to evaluate the compressive strength of concrete. Based on these methods, maps of compressive strength can be developed to study the strength variation over concrete members. This map can be used to determine the number and location of cores. The combination of these two methods can cover the deficiency of each individual test, and improve the accuracy of strength prediction. This entry was posted in Inspection and Evaluation, NDT. Bookmark the permalink. Thank you for this article. Another benefit a core will provide is visual inspection of reinforcement placement and consolidation of the mix in this area should some reinforcing steel be encountered. 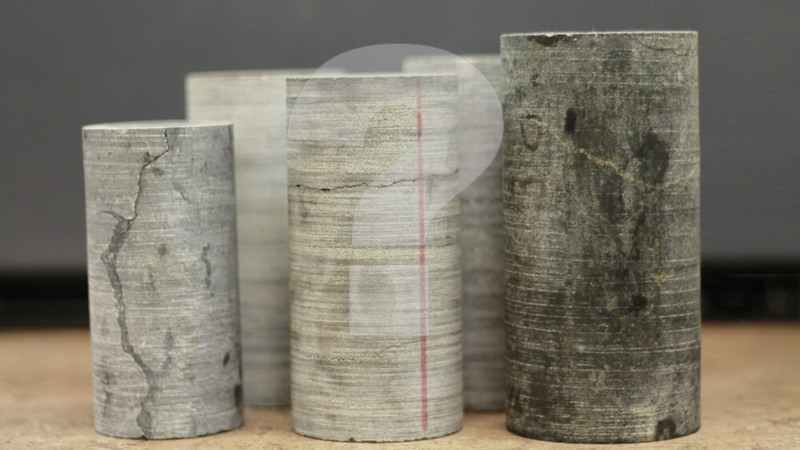 Additionally, I have heard arguments and seen data both ways that the inclusion of steel within the core sample detrimentally affects the compressive strength testing. With respect to this I believe the technician / engineer needs to make a judgement on the amount of steel within the sample observe for any small voids around the steel, etc. that could skew the testing. If this is so, then the steel component could be sawed out of the sample and the test result would utilize the correction factor as needed. Great article, I did not know that coring can asses the bulk electrical resistivity of concrete. Good point about not cutting into rebar as that is a big no-no. Grateful for the information you have expressed, I would like to express my professional experience on the subject. Since the beginning of the eighties we have made in Venezuela the structural evaluation of buildings, necessary for example for changes of use, seismic resistant verification, etc. There is one aspect that does not mention which is the statistical evaluation of the resistance on site, it is not necessary to take core drills in critical areas, for that is used the statistical correlation of the resistance on site of few cores with the speeds of the ultrasonic pulse, this correlation allows us to extrapolate to determine, with a much higher population of speed data, the compressive strength of the concrete in situ to a large portion of the structure without damaging it with an exaggerated number of cores and with a confidence also calculated statistically. The article is pretty good. However, it should have been proofed. There are misspelled words and sentence fragments. The author also left a few things out. Rebound number testing applies to the surface of concrete and does not give an indication of the internal strength of the concrete. In addition, compressive strength corresponding to rebound numbers measured by a specific hammer are based on testing of standard 2″ cubes. Rebound hammers should be correlated/calibrated to actual concrete for a project (i.e. cores). Rebound number testing should never be used as the sole basis for the acceptance of concrete compressive strength. Penetration testing of concrete is another method of evaluating the strength of concrete. However, it too gives an indication of the strength of concrete at the surface. UPV can be useful however it does have one significant disadvantage. The presence of reinforcing steel can affect the pulse velocities measured lwhich can ead to an inaccurate estimation of concrete strength. I do agree that GPR be utilized to map existing reinforcing steel to assist with selecting UPV test paths of concrete. With respect to strength prediction using UPV, the engineer must understand that test results provide an overall indicating of concrete quality and not an accurate prediction of concrete strength. Creating weak spots in structural members is not the ideal method of evaluating existing structures, it is by far still the best way to get consistent, confident results. Based on the vast studies, published papers, and case studies, the existence of steel reinforcement has approximately between 1% and 1.5% effect on the compressive strength compared to the concrete without reinforcing steel both measured by UPV testing. Therefore, it does not have a great influence on the results. This effect is negligible. As an average of all test results, UPV testing shows between 4% to 5% error in measuring the compressive strength compared to the extracted core compressive strength. On the other hand, if the average of compressive strength of some extracted cores is 40 MPa, the UPV testing will show the compressive strength 40 +(-) 1.8 MPa which is quite acceptable results for the assessment of an existing structure. If your space requires a focus on exceptional cable management, rather than coring and drilling, check out https://freeaxez.com/ for a low-profile adaptive access floor solution.